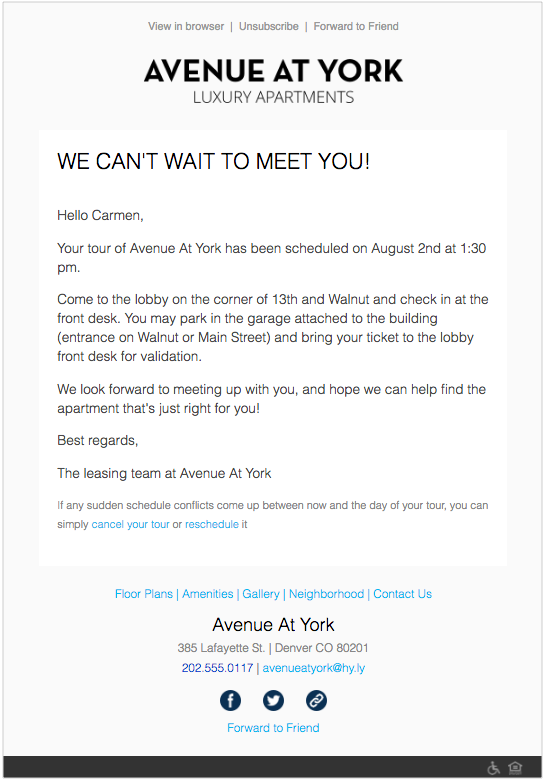 Prospects can schedule a tour using an easy-to-use scheduler on their desktop. They pick their date, pick the time and enter the critical information needed by the agents. It does not matter if the prospect is on the phone or on a tablet. The hyTours scheduler is responsive. Prospects can schedule a tour with equal ease on any device. Once a tour is scheduled, the prospect receives an immediate confirmation. They are not waiting for the agent to find a time to confirm their appointment. How do you prevent no-shows? 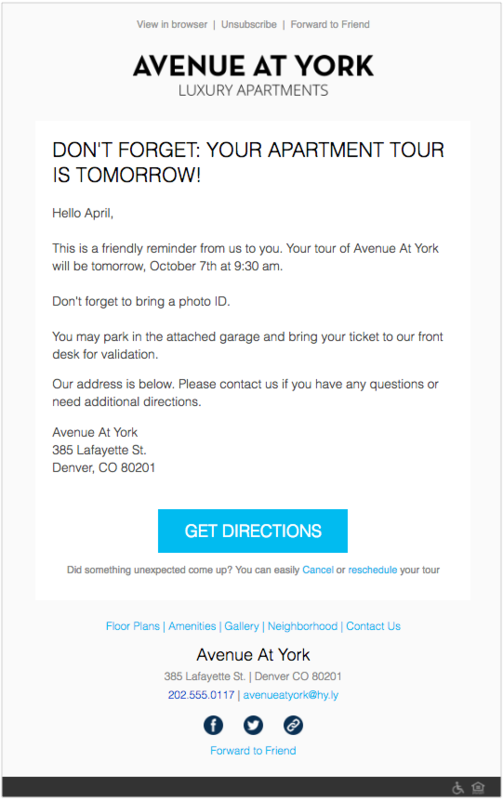 In case the prospect has forgotten about the tour, hyTours sends a gentle reminder about the tour tomorrow. And, if they cannot make it, hyTours has options to Cancel or Reschedule the tour. Can a prospect cancel or reschedule online? Yes, plans change, and we understand. If prospects would like to cancel or reschedule their tour, they can do it online. 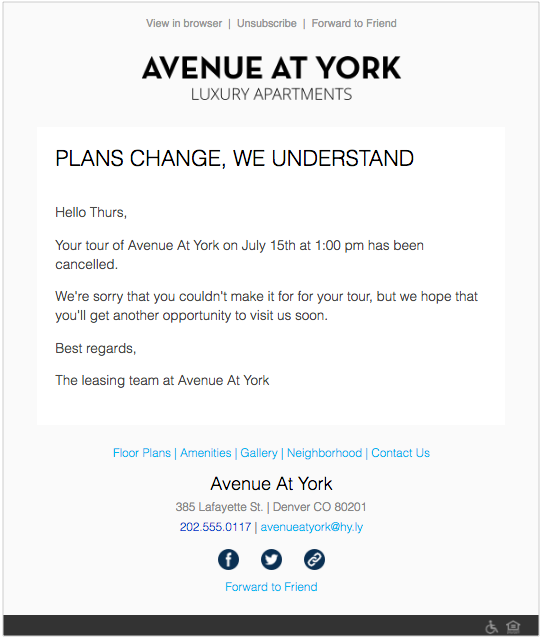 With this feature, agents do not spend time cancelling and rescheduling tours and they can plan their day better. Maybe they got an hour back that they can use to finish up that report backlog.